Meet Lindsey Wisdom, our owner. 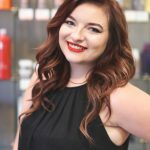 Lindsey has enjoyed the field of cosmetology for 15 years. Her dream was always to own a salon, which she did 2 years ago. She has a passion for hair and loves men’s haircutting and up styling. Trendsetters prides itself on education. Lindsey has attended the Aquage Master Academy, GK hair taming system, along with many other classes. “Customer service is the key to a successful business”, says Lindsey who prides herself on giving great customer service! She also believes in supporting her staff and keeping them educated on all new trends. When Lindsey isn’t at work she loves spending time with her husband of 11 years and 2 children. If your looking for a young growing salon that can suit all your families hair needs, look no further we are your salon!